Australia’s eight leading research universities have told the Turnbull government they cannot absorb the funding cuts announced in the May budget and the quality of their research will suffer if they go ahead. The chair of the Group of Eight universities, Peter Hoj, told the National Press Club yesterday that the latest cuts, which will pare the money universities receive for teaching by 4.9 per cent over two years meant they were “staring in the face of real danger”. “Until now, universities have been sufficiently adept at adjusting their business models in order to survive the withdrawal of public funding,” he said. But Professor Hoj, who is vice-chancellor of the University of Queensland, said the point had been reached where the government was “tilting the funding balance to the extreme”. He urged the Senate to block the cuts, saying the damage to research and innovation in universities would “give away a national competitive advantage, and weaken the country’s economic resilience in the face of undesirable – but not unthinkable – global jolts”. He said that Australia was the second lowest in the OECD in government contributions to higher education as a percentage of GDP. Even as new official figures show that the number of international students studying in Australia this year is 13.5 per cent higher then last year, Professor Hoj warned that the international student market was at risk. 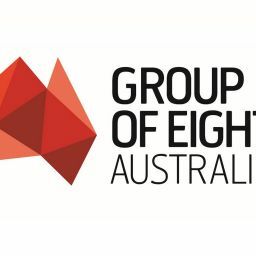 He said the strong demand from overseas for education in Australia depended on the Group of Eight’s strong research performance, which generated top positions in global rankings which, in turn, attracted students. Professor Hoj also said that the high reliance on international students for university revenue posed its own risks. “The real risk to Australia is if we build our entire knowledge generating infrastructure on something which can’t survive without international students,” he said.